Top left frame: Monocyte with an irregular outline, gray cytoplasm containing a few azurophilic granules and vacuoles, and a nucleus with an open or lacy chromatin distribution. 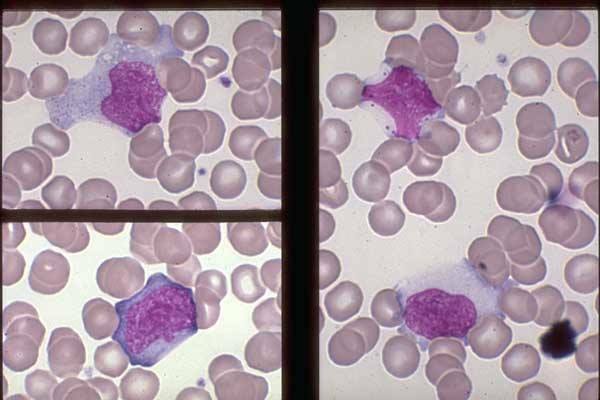 Lower left frame: 1 Plasmacytoid Lymphocyte. Compare its basophilic cytoplasm with the pale gray cytoplasm of the monocyte in the top left frame and its coarse chromatin with that in the monocyte.